Kitchen faucets have gone beyond being just as a water outlet. This stylish water powered LED kitchen faucet light serves as a stylish commodity and a great inclusion in any kitchen. This LED faucet light is easy for installation without many problems. It can be fitted on the usual kitchen faucets with long spout. The size of the connector is 20 mm in diameter. The material is made of plastic and is also available in chrome finish. It is completely light weight and comes as a single light in the package. 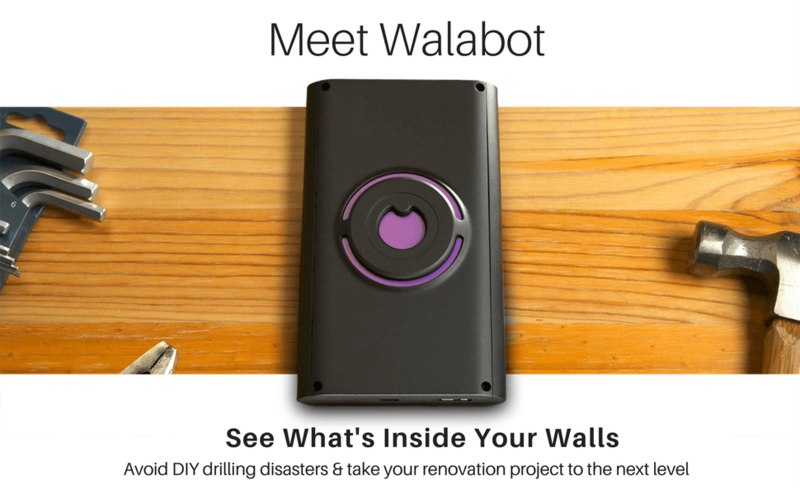 Get visual representation with Walabot DIY that can sense upto 4 inches into walls and locate any studs, pipes or electrical wiring. It is currently compatible with Android smartphones above 5.0 version. How stylish water powered LED faucet light works? The work mechanism of this stylish LED kitchen faucet light does not require a battery to work. It works on water power. As the water flows through the faucet light, it is triggered and the light glows. When the flow of water stops, the light will also be turned off. The LED faucet light is available in two types, 7 colors LED and heat sensor LED. There is a sensor inside this light to catch the flowing water and to turn the light on. The heat sensor LED has the sensor that helps prevent scalding. This LED can emit 7 colors one after the other. The heat sensor also works in co-ordination with the light to emit particular colors. The color will be light blue when the water temperature is 0-31 degrees. When the temperature is between 32-43 degrees Celsius the color of the light would be green. When the temperature is higher and is between 44-50 degrees the light emitted will be red in color. The water temperature when goes beyond 51 degrees, the light will be flicker and in red color. As for the 7 color LED faucets, it will emit the 7 colors continuously throughout the water flow and turns off when the water flow stops. 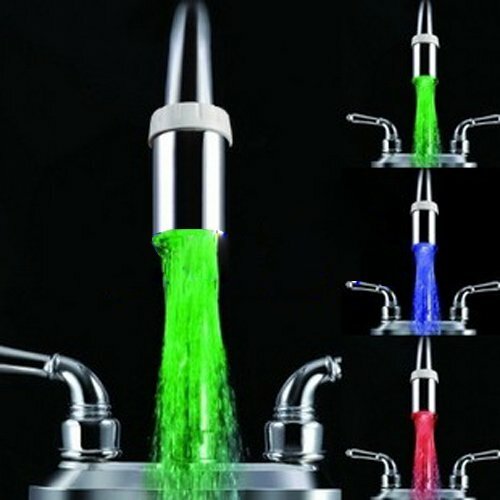 Users have voted this stylish LED kitchen faucet light is fun and is loved by the kids especially. It also helps them to detect the water temperature and saves from burnings.